The "Taiwan question" has long been considered one of the most complicated and explosive issues in global politics. In recent years, however, relations between Taiwan and the Chinese mainland have improved substantially to the surprise of many. 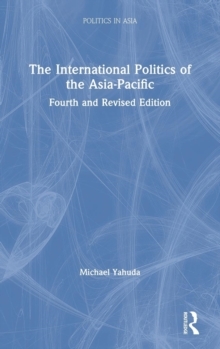 In this ground-breaking collection, distinguished contributors from the US, Asia, and Europe seek to go beyond the standard "recitation of facts" that often characterizes studies focusing on the Beijing-Taipei dyad. Rather, they employ a variety of theories as well as both quantitative and qualitative methodologies to analyze the ebbs and flows of the Taiwan issue. 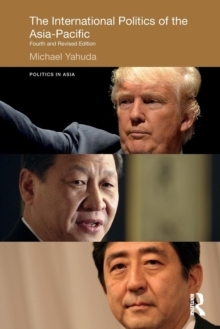 Their discussions clearly illuminate why there is a "Taiwan Problem," why conflict did not escalate to war between 2000 and 2008, and why cross-Strait relations improved after 2008. The book further reveals the limits of realism as a device to gain traction into the Taiwan issue, demonstrates the importance of taking into account domestic political variables, and shows how theory can be used to advance the cause of better China-Taiwan relations and to analyze the potential for future conflict over Taiwan. 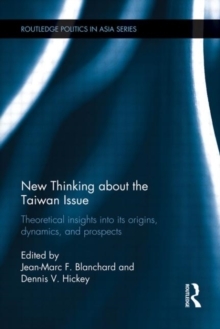 New Thinking about the Taiwan Issue is essential reading not only for students, scholars and practitioners with an interest in studying relations across the Taiwan Strait, but also for any reader interested in economics, international relations, comparative politics or political theory.